Want to get full value for the money you pay for your HP OmniBook Notebook repair service? You can rely on Creative IT for perfect and cost effective IT support services in various cities of London. We are team of professionals dedicated to serve all clients iv alike irrespective of their social status or work they offer. Creative IT is fortunate to have satisfied clients even from the beginning. Our expert workforce with up-to-date knowledge makes use of latest technologies to keep pace with this ever growing field. Our well equipped lab facilities are used for comprehensive offsite HP OmniBook notebook repair. We always do our best to keep the deadline of 48 hours. Our technicians try their maximum for same day HP OmniBook notebook repairif faults are not much critical. Creative IT quotes only less charge when compared with others in this field. Are you searching for an appropriate HP OmniBook laptop part for replacement? Creative IT is the best option. We stocks original and used laptop peripherals with best prices. Do replacement only if it is unavoidable and it is better to seek advice of our experts for putting aside your money. Have a HP OmniBook laptop maintenance contract with us and your laptop will go on working for long period. Other than HP OmniBook notebook repairwe also concentrate in value added services such as password removal, laptop upgrades, networking, software installation, virus removal, and HP OmniBook data recovery/transfer. 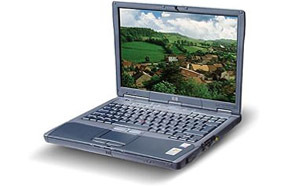 Hope you got an idea regarding our HP OmniBook notebook repairservice in London, UK. To know more please contact our customer service representatives at your convenient time. We are available at 020 7237 6805. Your comments are always welcomed to improve our HP OmniBook notebook repair service. You can also sendiv us an email at info@creativeit.tv.